Human body has an immune system of its own that keeps harmful bacteria at bay and protects us from various dreadful diseases. As grown ups, we manage to resist poor health conditions such as constant cold, running nose and gastrointestinal bugs. This is because we have a strong immune system that helps us fight these diseases. But when it comes to kids, they tend to fall victim to such health issues very often, all due to the poor immune system. 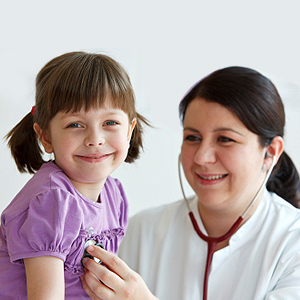 Most of the kids face health related problems and are constantly seen fighting a cold or flue. Health experts state having a great immune system hasn't got anything to do with the genes. Therefore, if taken care of a few things, all kids can boost their immunity and stay safe as far as the diseases are concerned. 1. Take Care of the Diet: Your child's immune system will be affected badly if it's constantly bombarded with preservatives, sugar, food intolerance, and additives. It is very important to keep a check on your child's daily diet. He should be made to eat healthy and fresh. Limit the intake of sugar rich food items, junk foods, and encourage them to eat more of veggies, nuts, fruits, pulses and whole grain. 2. Maintain the microbiota: Not all bacteria are harmful for us. Probiotics are the friendly bacteria found naturally in our guts. They guard our digestive system, help us in digesting the food, aid in toxin clearance, and also protect us from the ravaging bacteria and viruses. Any imbalance of this bacteria in kids can make them prone to infections. It would be great if you can get your kids checked for the same and if the bacterial count is less, give kids a probiotic supplement rich in lactobacillus and bifidobacteria strains. 3. Keep stress away: Who says kids don't get stressed? Well of course they do. Given the fast paced life we all are living today, parents are overstressed because of the work-life balance, kids are over scheduled and as a result everyone is suffering. The way stress affects an adult body, a child's body too gets negatively affected by it. This will even lead to poor eating habits followed by lack of sleep and deteriorating health conditions. To combat the same, see to it that kids are given a healthy schedule to follow. They should be allowed to enjoy some free time out in the open rather than sitting glued to their play stations. Teach them meditation as it helps in relaxing the mind and body muscles. 4. Adequate Sleep: Depending upon the age, kids need 10-14 hours of sleep in a day. The quality of sleep matters more than the quantity. Never let the kids stay awake till late. Make it a habit for them to sleep early and rise on time. This will keep them energetic for their everyday activity and there won't be any fatigue or tiredness. 5. Indulge in exercise: A regular exercise routine is not just good for your kids but it will even keep you fit as well. You don't necessarily have to hit the gym for the same. Just spend 20-30 minutes in the morning and indulge in some exercises that you can do as a family. This will serve many purposes. First you will all have a healthy routine and secondly, this will even allow you to spend more time with each other and bond in a healthy manner. 6. Personal hygiene: You as parents will surely make it a point to give your child a hygienic environment to live in. However, you can't be at the guard all the time. Thus, it is very important that you educate your kids about personal hygiene. Teach them the importance of washing hands before and after eating meals. Also, help them understand what all hygienic precautions they must take while playing out with friends. If they stay conscious about it, they are less likely to get attacked by harmful germs. 7. Health Supplements: Vitamin D and zinc are the best health supplements that can boost your child’s immune system. Kids who are prone to allergies must be provided with fish oil, yogurt, vitamin C, milk and nettles. Take great care of your child's health and make it a point to have regular health check ups. Also, consider a physician before providing your child with any kind of health supplement or immunity booster!